Achievements of the ADVOCATE project are presented at the ADVOCATE Conference and AGM in Cork on 25th and 26th March. This special newsletter edition accompanies the conferences and gives an overview of key achievements of all areas of the project. Click below to read the newsletter as an interactive PDF. Academic detailing (AD) is a defined form of educational outreach that can be deployed to intrinsically motivate practitioners towards improving quality of care. This paper describes the design of the ADVOCATE Field Studies. This proof of concept study aims to evaluate the feasibility, acceptability and usefulness of AD, reinforced with feedback information to promote prevention-oriented, patient-centred and evidence-based oral healthcare delivery by general dental practitioners (GDPs). 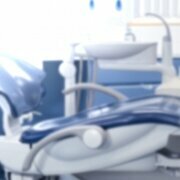 The results of the study will provide novel information on the feasibility, perceived acceptability and usefulness of AD and feedback data for GDPs to improve oral healthcare delivery. 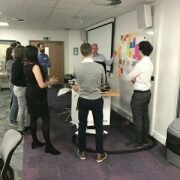 In collaboration with Leeds Institute for Data Analytics (LIDA), held a data conference at the University of Leeds, in order to gain a better understanding of the some of the legal, practical and ethical issues surrounding the collection of data across Europe. It was a perfect opportunity for WP2 and WP3 to come together and discuss the quantitative and qualitative aspects of data research. 30 participants involved in the project attended the conference and its workshops. Sessions included an introduction to PESTLE and the legal aspects of data use. Frank Fox of Bridges Data led a workshop on available data, barriers and facilitators to data access.